MOUNT PLEASANT –The Iowa Wesleyan women’s volleyball team has announced their schedule for the 2018 season. Tiger fans will be able to see the team in action on their home court on nine different dates this fall. The season will kick off on August 31 in Jacksonville, Illinois when IW faces Grinnell College (6 p.m.) and Illinois College (8pm) at the Illinois College Invitational. The Tigers will take on Knox College (10 a.m.) and Anderson University (12pm) on September 1in the second and final day of the invitational. 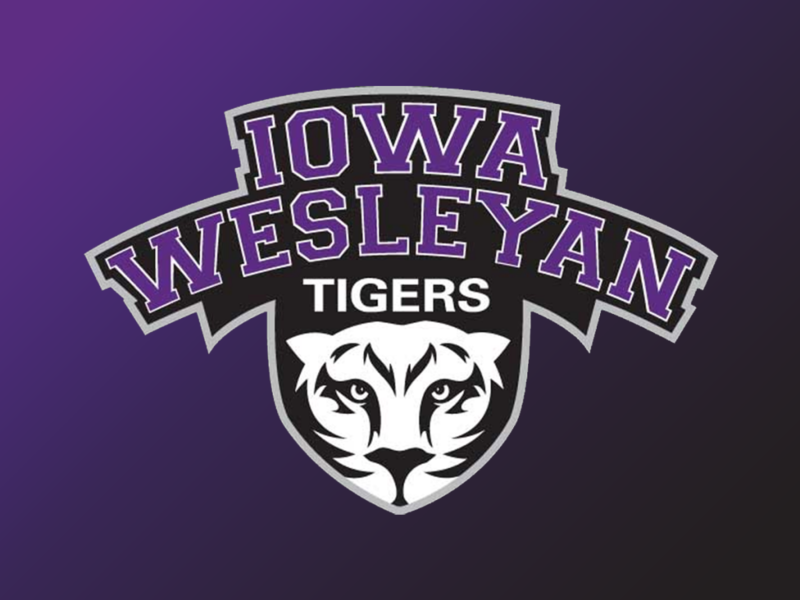 Iowa Wesleyan will return to the road on September 4 when they make the short trip to Pella, Iowa to play Central College at 7:30 p.m.
On September 8, Iowa Wesleyan will host a triangular with Fontbonne University and Principia College. IW will open the triangular with a 10am match against Principia and will play Fontbonne at 2 p.m. to wrap up the day. The Tigers will take another short trip on September 11. They will face Monmouth College at 7 p.m. in a non-conference contest. Eureka College will visit Mount Pleasant, Iowa on September 13 at 7 p.m. before the Tigers begin a three match road trip. 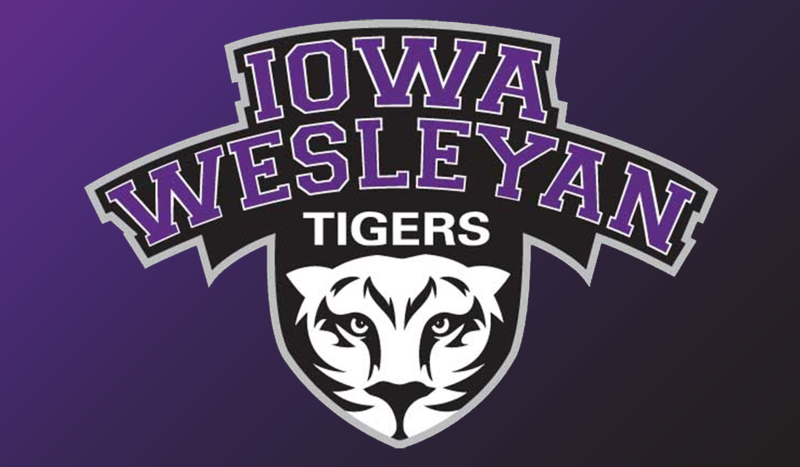 Iowa Wesleyan will travel to Fulton, Missouri to face Westminster College on September 18 at 7 p.m. They will follow with a 7:30 p.m. match against Simpson College in Indianola, Iowa and finish with two matches in Elsah, Illinois on September 22 (Spalding-11 a.m. and Webster-2 p.m.). The Tigers return to Ruble Arena on September 25 at 7:30 p.m. when they host Loras College. On September 28, IW will travel to Webster Groves, Missouri for a 7 p.m. match against Webster University. They will follow with two matches on September 29, the first of which will be against Blackburn (11 a.m.) and the second will be against Lincoln Christian University (1 p.m.). The Tigers will begin October with a match against Principia College on October 1 at 6 p.m. They will return to the road, traveling to Greenville University on October 3 for a 7pm match. IW will then travel to Eureka College on October 5. They will face Eureka at 6 pm and end the night against Westminster College at 8 p.m.
Iowa Wesleyan will have a three match homestand beginning on October 9. The Tigers will host the University of Dubuque at 7:30 p.m. MacMurray College will visit on October 11 at 7:30 p.m. and Blackburn College will visit on October 16 at 7 p.m.
IW will head to Galesburg, Illinois on October 17 at 7 p.m. to take on Knox College. They will then travel to Fulton, Missouri on October 20th for two matches. At 12 p.m., the Tigers will take on Greenville University and will follow with a 2pm match against MacMurray College. The Tigers will finish the season with back to back home dates. On October 24, IW will host Fontbonne at 7:30 p.m., and on October 27, Iowa Wesleyan will host Spalding University for senior day at 11 a.m.